Kugel is often made with noodles, but Passover kugel is usually made with potatoes or fruit. Every year in the spring, Jewish families around the world gather together to celebrate Passover---a festival commemorating the freeing of the Jews from their Egyptian captors. The central ritual of Passover is the Seder, a symbolic meal shared by families and their guests. Popular Seder foods include matzo ball soup, slow-roasted brisket, haroset, and both sweet and savory kugel. Since leavened products (like bread, cake, noodles, etc.) 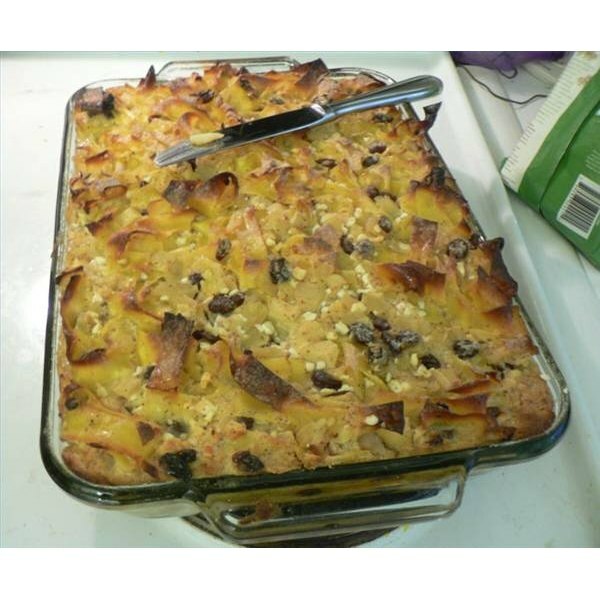 are prohibited during this holiday, Passover kugel is often made from potatoes, matzo or fruit. Pour the vegetable oil into the baking dish. 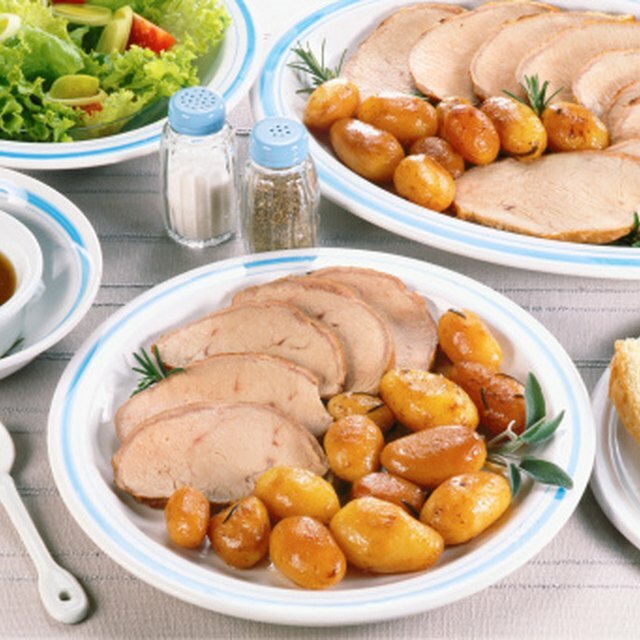 Set the dish aside while you prepare the potatoes and onions. Grate the potatoes with a grater or food processor (a food processor is recommended since it will cut down on your preparation time). Place them into a colander and rinse thoroughly with cold water. Then, squeeze out as much liquid as you can from the potatoes with your hands. The drier the potatoes, the better. Place the potato shreds into a large mixing bowl. Chop or grate the onion until it reaches a fine texture. Add the onion to the potatoes. Add the lightly beaten eggs, salt, pepper and matzo meal into the bowl with the onion and potatoes. Mix all of the ingredients together. Put the baking dish with vegetable oil into the oven. Let it sit for 3 to 4 minutes or until the oil becomes very hot. Take the baking dish out of the oven. Carefully, swirl the oil inside of the dish to make sure it coats all of the sides. Then add the potato mixture into the dish with a large spoon. Watch out for the splattering oil. Bake for 55 to 60 minutes or until the top of the kugel is brown and crispy. Preheat the oven to 350 degrees F. Grease the baking dish well with butter, margarine or cooking spray. Prepare the apples. Peel the apples and then remove their cores. Chop the apples into small, thin pieces. Alternately, you may grate the apples with a grater or food processor. Set the apples aside. Put the crumbled matzo crackers into a large mixing bowl. Add water to cover the crackers and let the mixture sit for two minutes. After two minutes have passed, drain off any excess water but do not squeeze the crackers. Add the beaten eggs, 1/4 cup of sugar, salt, applesauce, and lemon juice with the crackers. Mix the ingredients together. Then, add the chopped apples and the dried cranberries or raisins. Mix the ingredients again. Pour the mixture into your greased casserole dish. Mix the remaining sugar (1/4 cup) with the cinnamon. Sprinkle mixture over the top of your casserole for an added bite of sweetness. Place the casserole dish into the oven. Bake for 50 to 60 minutes or until the apples are soft. There are many varieties of sweet kugels you can offer your family during Passover. See Resources for recipes for pineapple kugel and festive fruit kugel.